Hello everybody! 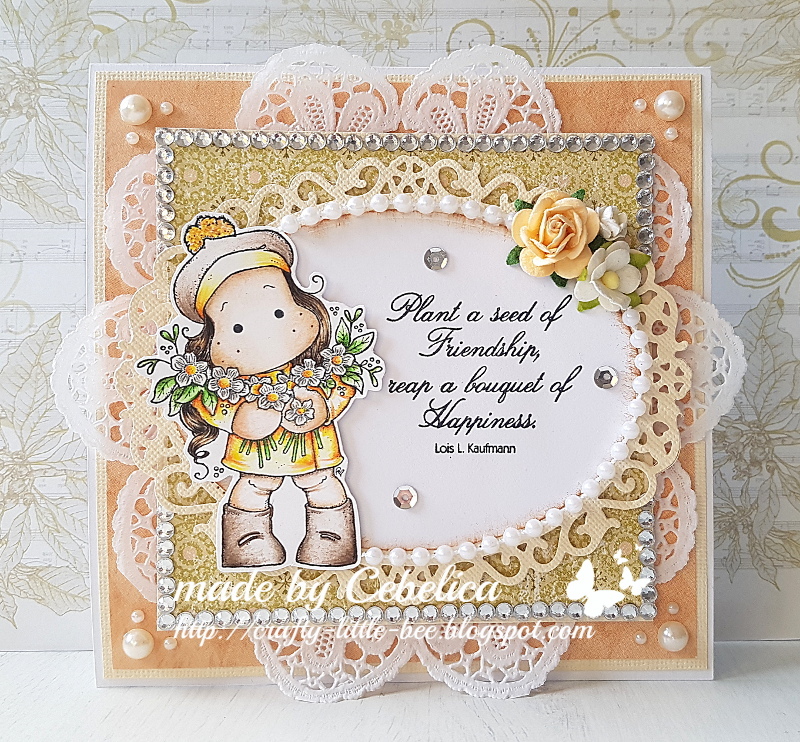 I'm here today with a card I created for the new challenge at Magnolia-licious. For this card I used sweet Tilda from the With love from Paris set. 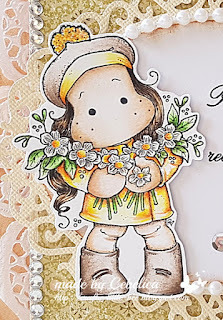 You can find this set along with many other cute Magnolia stamps (and other awesome things) in Magnolia-licious store. 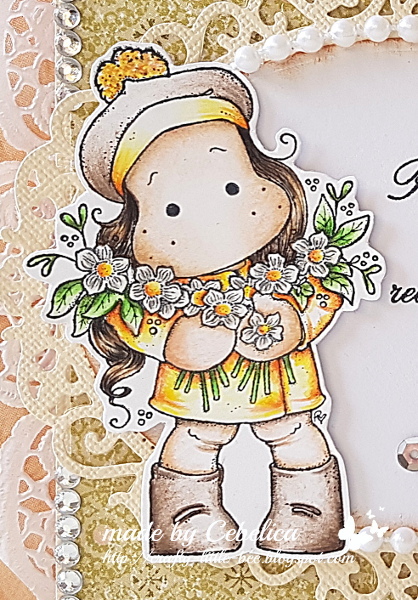 I stamped the image on neenah paper and coloured it with pencils. I used papers, doily, crystals and flowers from my stash. I also used some sequins and pearls to decorate the card. Beautiful card Maja, very pretty. A very pretty card with gorgeous colours! Thank you for sharing it with us at Stamping Sensations. Amazing card! Thanks for joining us at Penny Black & More and good luck!